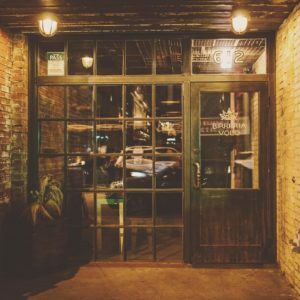 Birreria Volo is an Italian inspired beer hall tucked away within a historic decked-over laneway. Right next to the famed Royal Cinema in Toronto’s Little Italy hood, it has quickly become a House favourite. 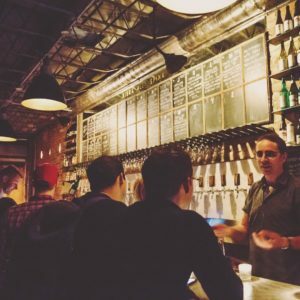 From the Brothers of the gone, but not easily forgotten Bar Volo, this narrow space specializes in hard to find rustic and wild ales, natural wine, cider and perfectly paired snacks. A well-rounded number of local and super international taps make up the bulk of the menu with some mainstays to keep familiarity for those less adventurous. The tables are communal, and service is at the bar. Volo’s selection is always rotating and organized by the letters of the alphabet. We’ve tried to make it to at least ‘O’ numerous times with some great memories made along the way. Tag us if you take on our alphabet challenge or need us to call you a cab back to The House.